This post is part of a virtual book tour organized by Goddess Fish Promotions. Loretta Marion will be awarding a $50 mazon or B/N GC to a randomly drawn winner via rafflecopter during the tour. Click on the tour banner to see the other stops on the tour. Thirty-seven-year-old painter Cassandra Mitchell is fourth-generation to live in the majestic Battersea Bluffs, a brooding Queen Anne home originally built by her great-grandparents, Percy and Celeste Mitchell, and still standing despite tragedies that have swept the generations. Local lore has it that there was a curse placed on the family and the house is haunted, though opinions are divided on whether it's by malicious or benevolent spirits. Cassie believes the latter―but now she stands to lose her beloved home to mounting debt and the machinations of her dream-weaving ex-husband. Salvation seems to arrive when a nomadic young couple wanders onto the property with the promise of companionship and much-needed help―until they vanish without a trace, leaving behind no clue to their identities. Cassie is devastated, but determined to discover what's happened to the young couple...even as digging into their disappearance starts to uncover family secrets of her own. Despite warnings from her childhood friend, now the local Chief of Police―as well as an FBI agent who pushes the boundaries of professionalism―Cassie can't help following the trail of clues (and eerie signals from the old house itself) to unravel the mystery. But can she do so before her family's dark curse destroys everything in its path? “No, it can’t be,” Percy whispered. The Bluffs was his home. He leapt from the barstool and ran for the street, bumping into a stranger as he passed through the tavern door. The man’s eyes were ominously familiar to him, but with more pressing concerns, there was no time to bring to memory why. He had to get home to Celeste. It sickened him to see the flames as his Ford pickup rounded the top of Lavender Hill. How hard he and Celeste had worked to build this house, a grand Victorian with a widow’s walk and a proud front porch facing out to sea. Fire trucks were already there, and men he’d known these many years were working hard to contain the blaze. And then, with his already dead wife in his arms, he hurled them both into Cape Cod Bay. A true bibliophile, Loretta Marion's affection for the written word began in childhood and followed her like a shadow throughout her life as she crafted award winning marketing and advertising copy and educational brochures. 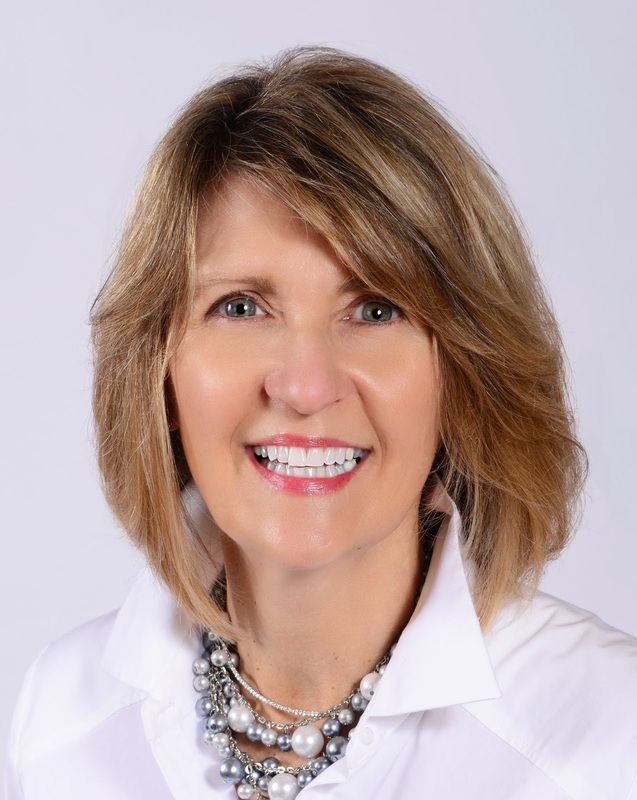 She then applied her writing skills as a volunteer, establishing a Legacy Story program for hospice patients, which inspired her to create her own fictional stories. Her debut novel, The Fool's Truth, was a twisty mystery with whispers of romance. 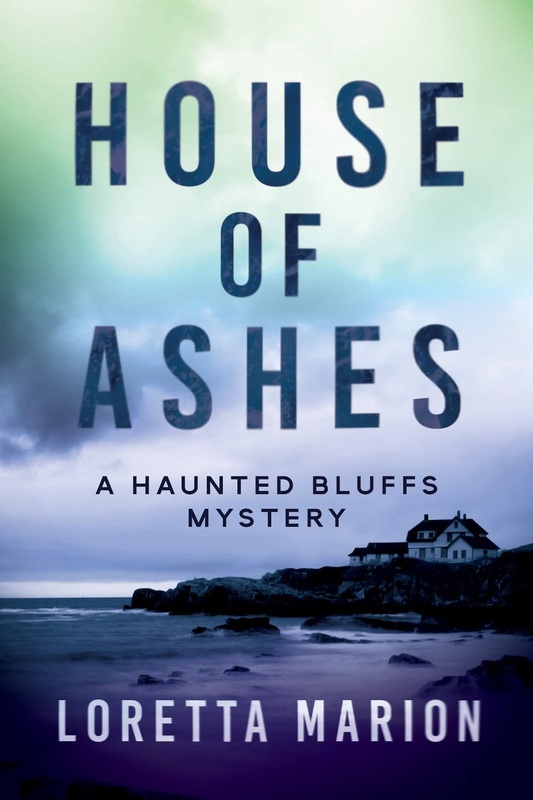 Her newest novel, HOUSE OF ASHES – A Haunted Bluffs Mystery, is the first in a series published by Crooked Lane Books. When not whipping out words on her laptop, she is traveling, enjoying outdoor pursuits, or is curled up with a delicious new book. Loretta lives in Rhode Island with her husband, Geoffrey, and their beloved Mr. Peabody, a sweet, devoted and amusing “Corgador”. 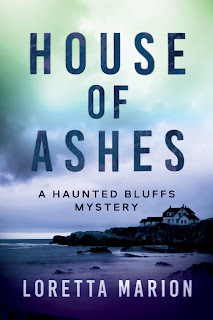 Thank you for featuring HOUSE OF ASHES during release week. I've enjoyed the Goddess Fish Book Blast tour and connecting with readers. I will be back later in the day to answer questions. Love your spirit, Jo!